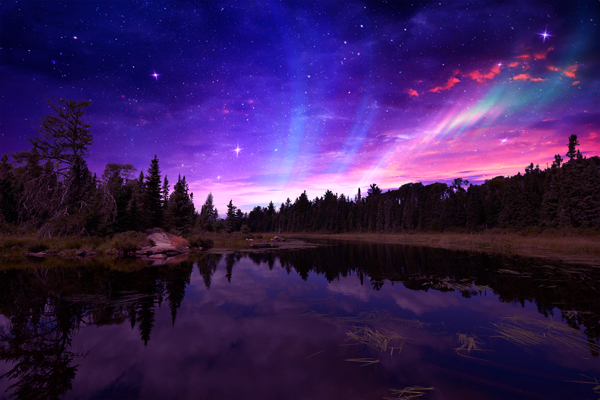 Mere human pinpricks living on the face of planet Earth; we’re often in awe with the spell-binding ways of the universe, particularly light shows from the natural phenomenon Aurora Borealis. In this tutorial, we’ll be showing you how to mimic a stunning landscape with Northern Lights using a photo of a lake, blending in a couple of images with Aurora skies, and applying a range of adjustment layers. This takes roughly an hour to complete in Photoshop CC. 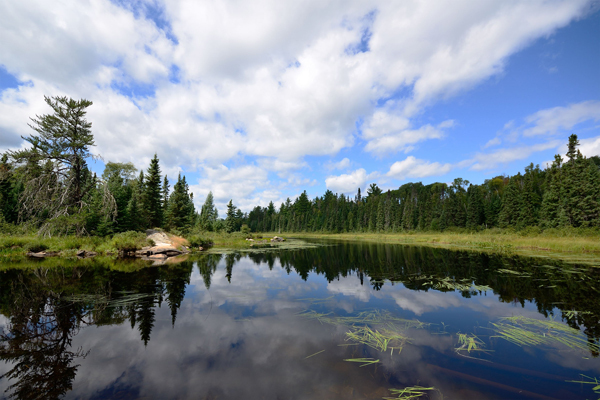 Go to File > Place Embedded and place the lake image onto your artboard. 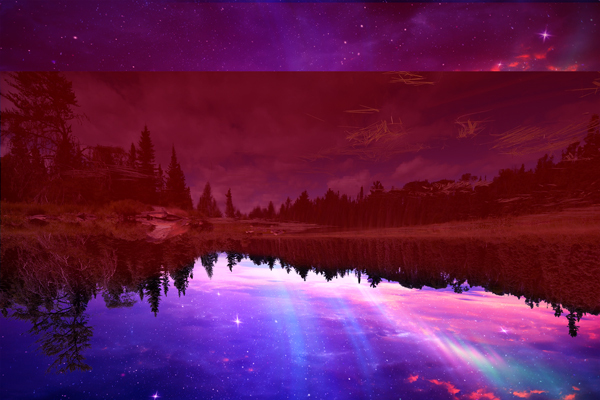 Remove the background of the lake using Channels. Switch to the Channels tab. If you don’t see the Channels tab, open Windows and choose Channels from the drop down menu to make them visible. 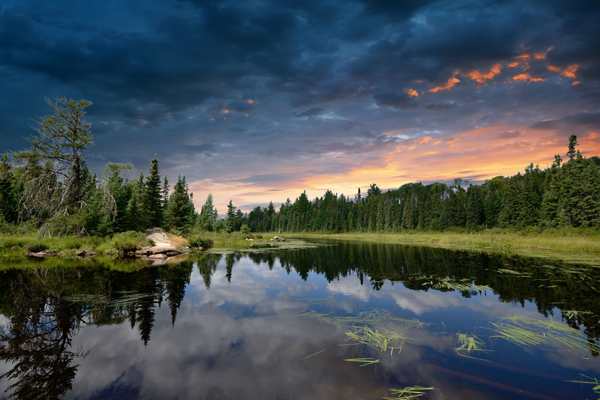 In the Channels tab, choose the blue channel as it has more contrast between the background and foreground. Tip: You can use different channels, but it really depends on the image you’re working with. 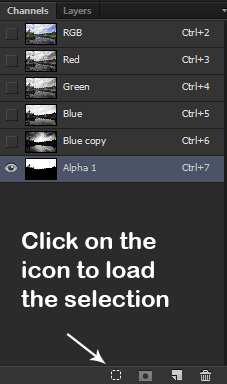 To make a copy, right click on the blue channel and choose Duplicate Channel. 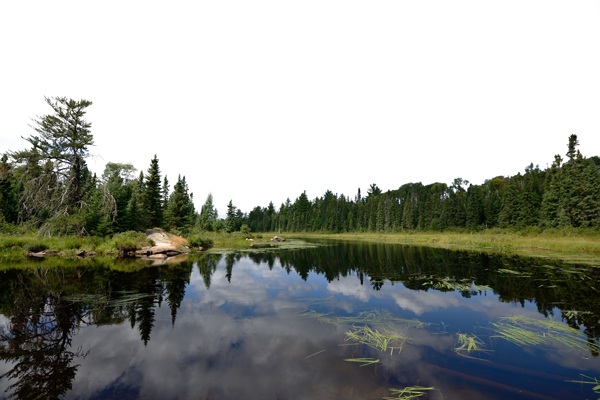 Don’t worry, this will not make any changes to the lake image. Use Channels to fully whiten selected areas which you don’t need (like the background of the lake) and to darken certain areas that you want in your final image (trees, the water). Leave out the sky’s reflection in the lake. 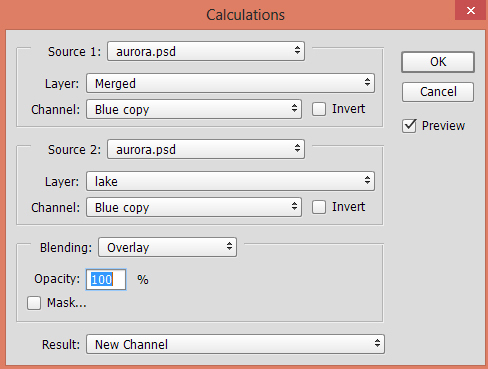 By choosing Overlay in the blending menu, you get a higher contrast between the lake and the background. 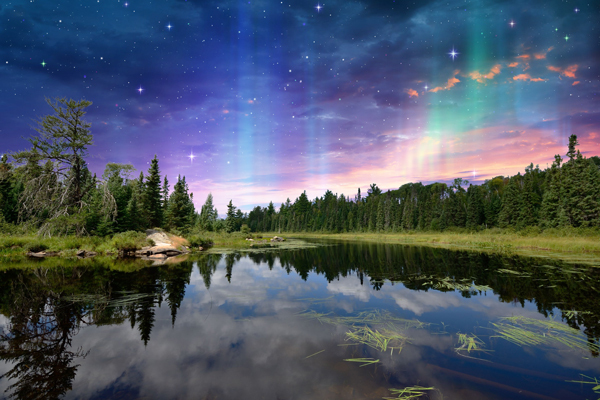 Tip: Try experimenting with other blend modes. Hit the Ok button and check if your image resembles the one below. In your Channels tab, you might notice you have a channel named ‘alpha 1’ right underneath the ‘blue copy’ channel. Alpha 1 is the result of blending two blue copy channels which you’ve merged using a technique called Calculations. Use the Brush Tool and paint white on the sky area to omit it. Opt for a soft white brush for this. 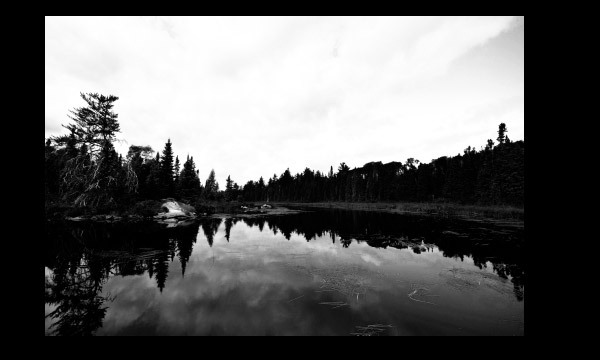 Then, switch the color to black to darken the lake. Once done, click on the load selection icon to load the selection. Place the sky image under the lake layer to add the new sky. 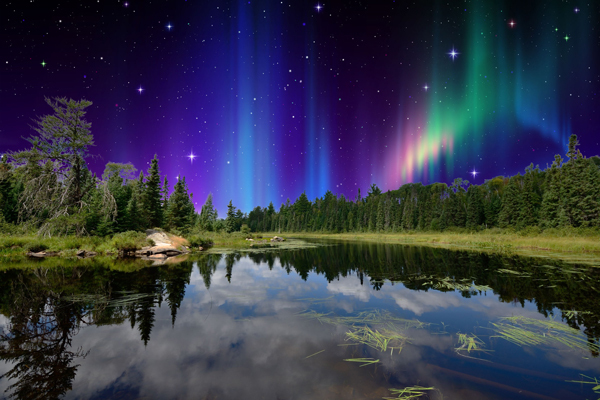 Now add the aurora 1 image to the main document and move it under the lake layer but above the sky layer using the Move Tool (V). 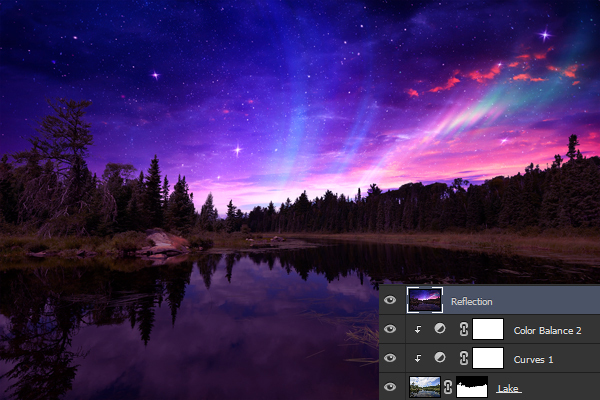 Convert the aurora 1 image into Smart Objects. Go to Edit > Transform > Warp and warp the image as shown below. 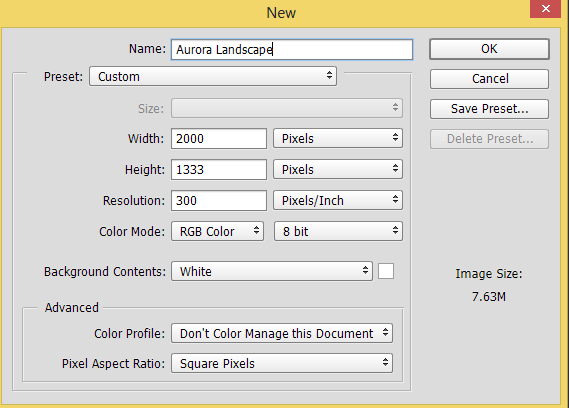 It’s time to place the aurora 2 image. Change its blending mode to Soft Light. 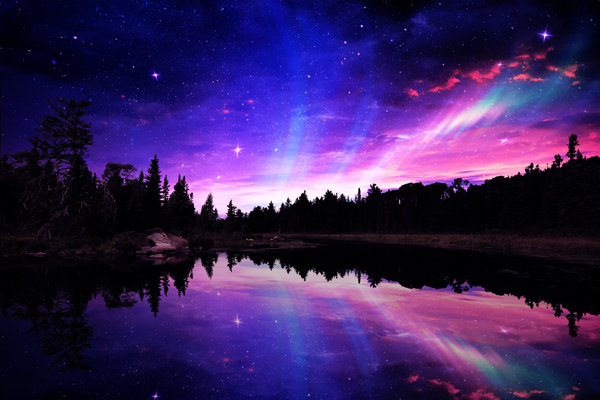 It’s time to change the colors of the sky. 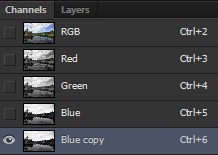 Go to Layer > New Adjustment Layer > Color Balance. 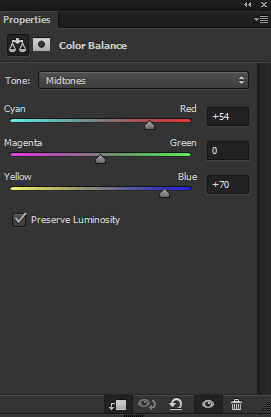 Adjust the midtones and highlights of the properties below. Switch back to the lake layer. 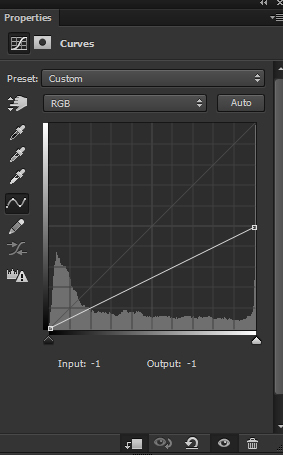 Use a Curves adjustment layer to decrease the brightness. 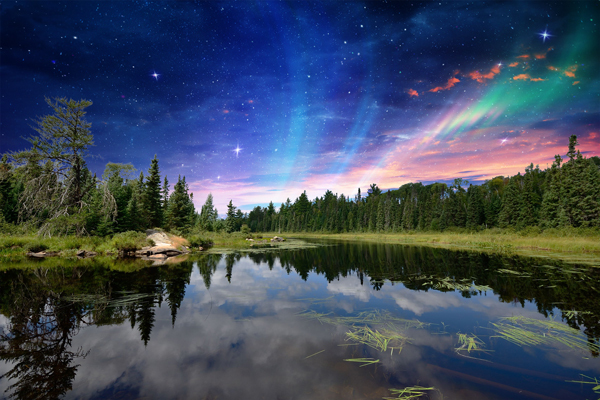 Adjust the midtones on the Color Balance adjustment layer according to the properties shown below to match the color of the lake with the sky. Here’s where you create the reflection in the water. Create a new layer (Windows: SHIFT + CTRL + N / Mac: SHIFT + CMD + N). 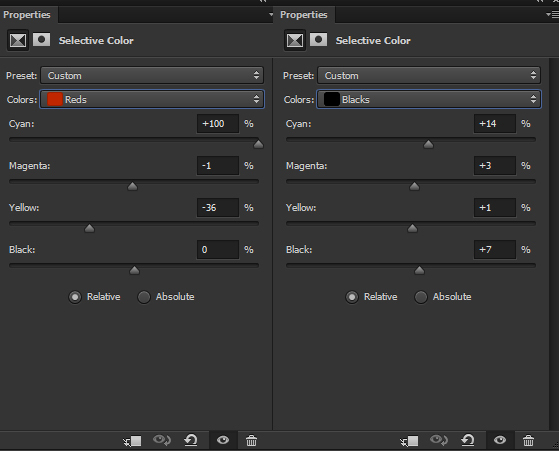 In Photoshop’s menu, click Edit, choose Transform > Flip Vertical to vertically flip the reflection layer. 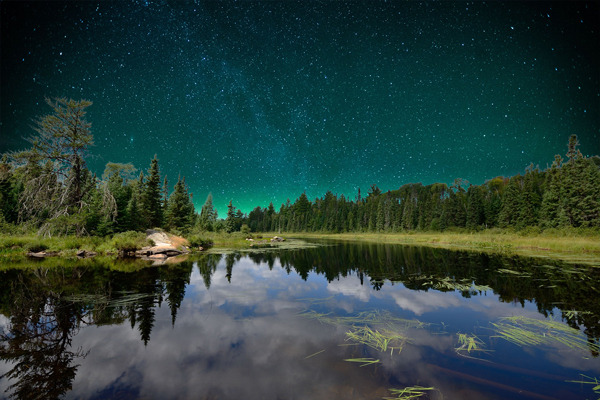 Try moving the layer down a little to ensure you’re only reflecting the sky’s section onto the water, and not anywhere else. 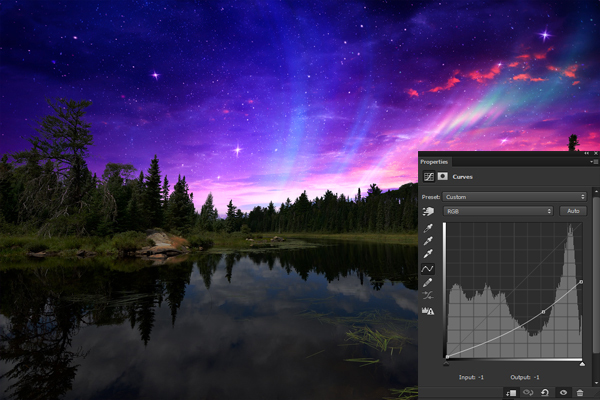 Tip: You can also choose Soft Light in blend mode to see through the layer to better position your reflection layer. As you only need the sky’s reflection, let’s get rid of the rest by hiding the unwanted parts. Add a layer mask to the reflection layer and then mask the parts (highlighted in red) using a soft black brush of your choice. 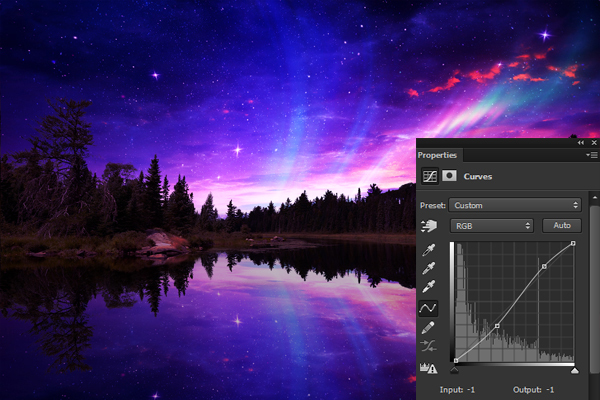 Next, open a Curves adjustment layer to reduce the brightness of the reflection. 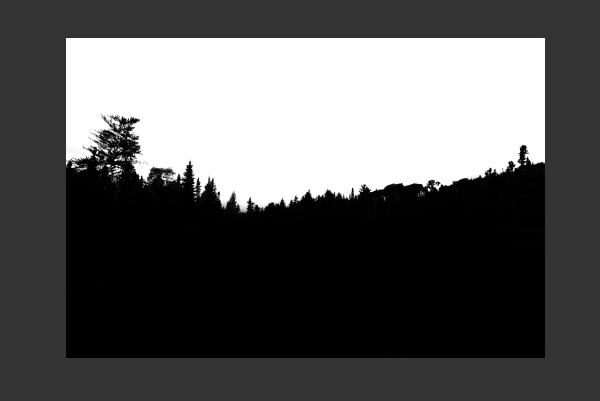 Tip: If the image is too dark, try lowering the opacity of the Curves adjustment layer to 60%. 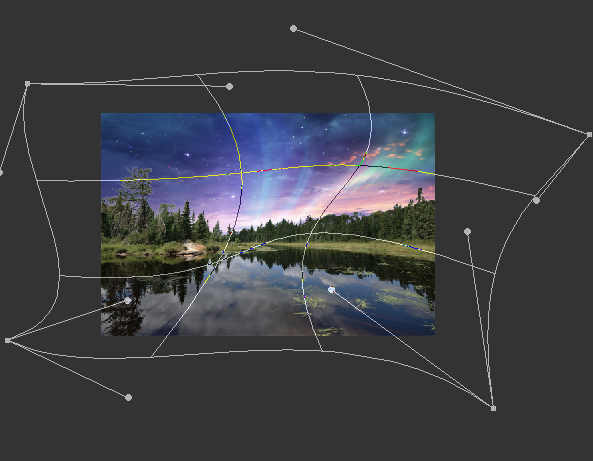 In the adjustment layer menu, choose Curves and place the layer on top of all layers. Experiment with the adjustments (or follow the image below) to increase the overall contrast. 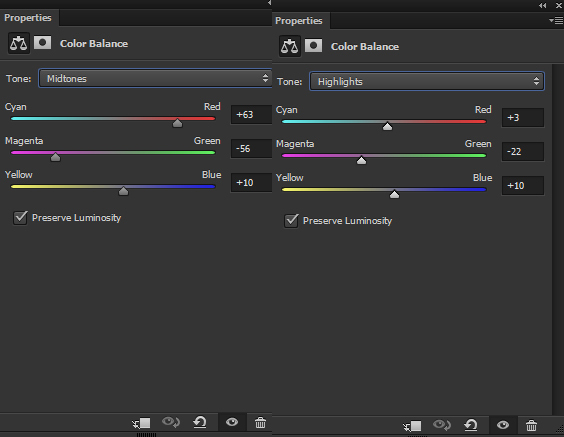 Tweak the colors using a Color Balance adjustment layer according to these properties below. 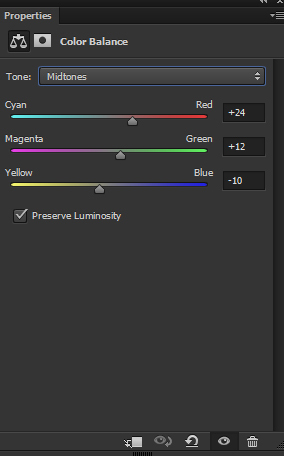 Open a Brightness/Contrast adjustment layer with these properties. With the following properties, set the Selective Color adjustment layer as below, to remove the Red colors from the composition. 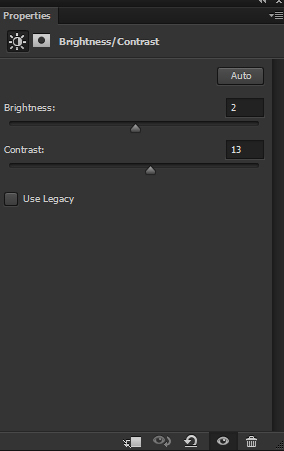 To add more contrast to the shadows, change the properties on Black colors. Here’s what the final image should look like. Keep experimenting with other images and applying different color adjustments. If you tried this tutorial, let us know how you fared in the comments below! 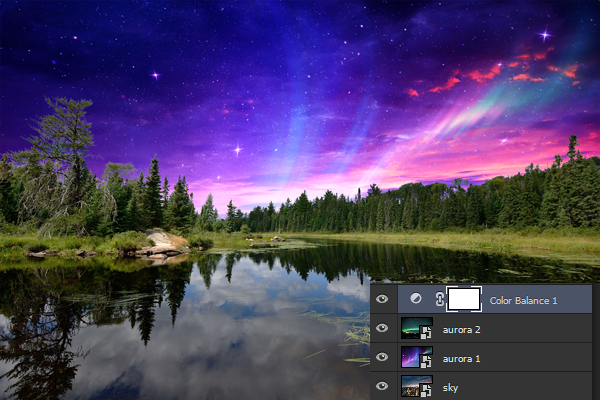 Wanna keep flexing your Photoshop muscles?